Available for $795 + $160 per year, Automate Recurring Entries automates Sage 300 G/L Recurring Entries, A/R Recurring Charges and A/P Recurring Payables operations for any number of companies in a single operation. Any number of Sage 300 G/L, A/R and A/P recurring entry operations will be performed in each company, as set up using the standard Sage 300 application. 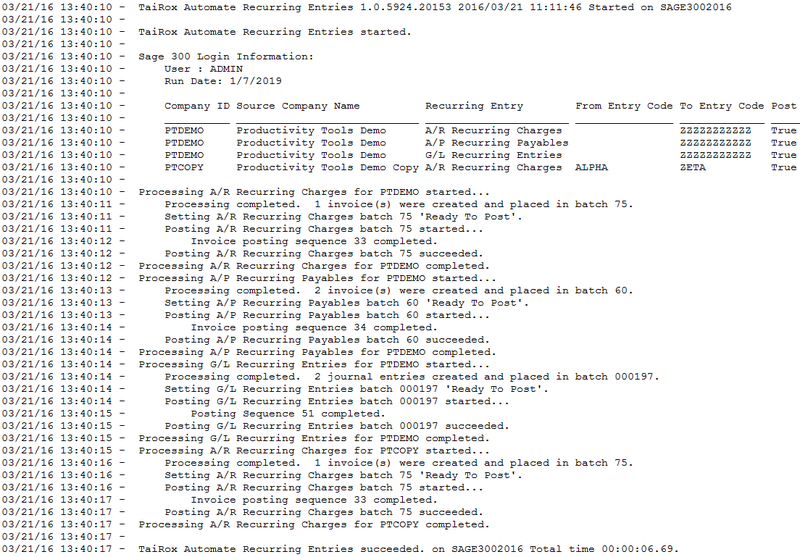 The resulting batches can optionally be posted. The program is designed to run as an unattended Windows Scheduled Task, as well as from a user interface. • Updates multiple companies in a single operation. 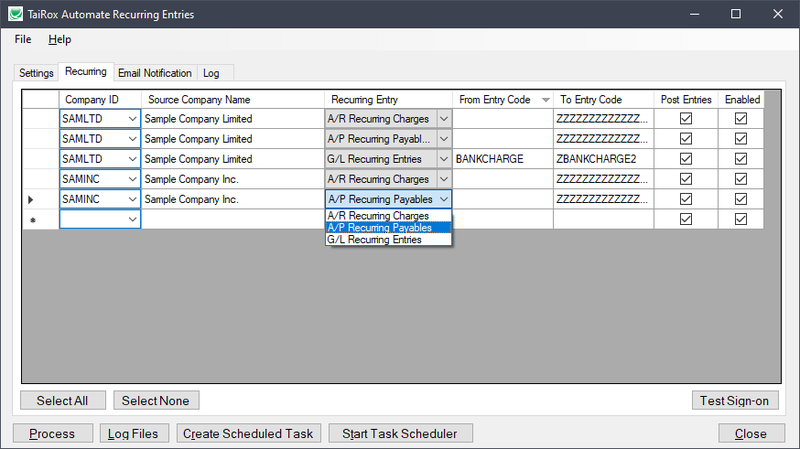 • Updates multiple recurring entries in multiple modules in a single operation. • Optionally posts resulting batches. • This product uses Sage 300 business objects to insure proper multi-user operation. 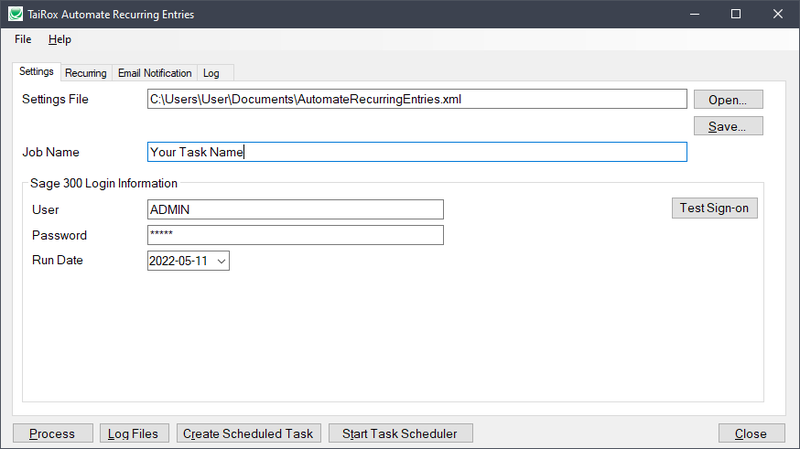 • Creates a basic Windows Scheduled Task and will launch the Task Scheduler.